Moving your office from A to B, rarely goes according to plan and schedule, especially if you are attempting to organise and carry out the removal, while trying to run your business effectively on a daily basis. 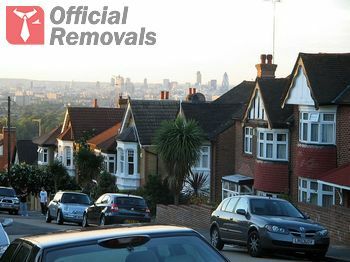 If you are looking for a better, more efficient way to relocate your office, then come straight to Forest Hill Office Removals – the undisputed local specialists. The company has plenty of industry experience and the required amount of technical expertise and manpower to organise and carry out successfully all types of office removals, despite their scale or complexity. We understand that customers require punctual, efficient and affordable office removal service that gives them the required level of reliability and professionalism. This is no problem for our well trained, professional movers, who have the necessary practical skills and technical expertise to cover all stages of the relocation with professional pace and efficiency just as required. Working with qualified professionals also ensures safe handling and damage-free transportation of expensive office equipment and machinery. Our movers are organised in teams, so that tasks can be distributed evenly amongst them. Efficient task management helps us complete the office removal timely and with minimum disruption to staff duties and other businesses present in the building. Efficient and timely completion of the entire removal usually translates to additional savings for our customers, as there is less business downtime thus fewer lost profits, and no penalty fees incurred for failing to vacate the current property timely. Our expert mover teams will assist with packing, securing and loading of your office contents, as they need to ensure safe and efficient transportation. We recommend letting the movers decide how to pack and secure items accordingly, because they know how to do this right and avoid damage or misplacement. Forest Hill Office Removals knows that efficient transportation is just as important as proper packing and safe handling, therefore we own and operate a large number of well-maintained transport vehicles as this provides for versatile, convenient transportation at a reduced cost. The company has excellent short notice availability and we provide for flexible, week round servicing.